The Milford Commercial Club and the Milford Quasquicentennial Committee still have items for sale that would make a great holiday gift idea. These items can be purchased by going to the Milford City office during office hours, or contact Dawn Powell at 712-320-4512, milfordcommercialclub@gmail.com. 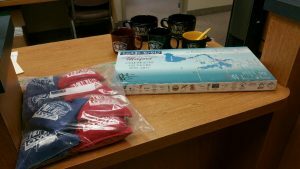 Items in Picture include: Lakes Opoly, Corn Hole Bags, Mugs, Crocks, Cookbooks, Ornaments, All School Reunion Chronicles, T-shirts and Decks of playing cards. 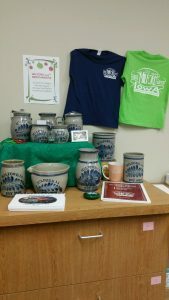 The Crocks include Vases, Batter bowls, Small and Large Crocks, Sugar and Creamer set, Preserve Jar and Sugar Canister.